The rivalry between Thomas Edison and Nicola Tesla is the stuff of legends in the scientific world. They fought over nothing less than power: both competing to create the standard of electricity in the United States, DC vs. AC. Tesla accused Edison of stealing his patents. Edison accused Tesla of making dangerous technology. Tesla wanted to distribute electricity for free. Edison fought to make as much money off it as he could. Edison won the battle in real-life, but now Tesla has a second chance to redeem himself in song. 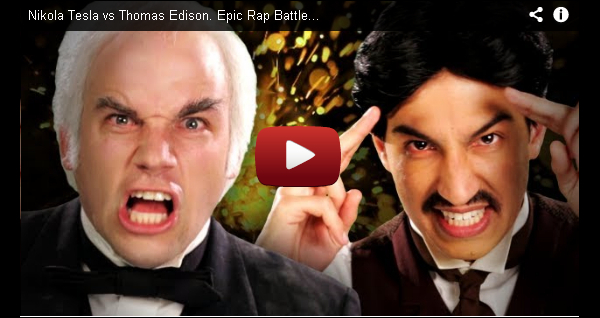 Watch Edison and Tesla compete in the latest Epic Rap Battle of History.